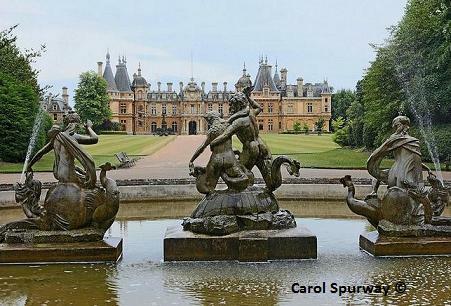 The Gardens at Waddesdon Manor were created by Baron Ferdinand de Rothschild in the 1880s from a bare hilltop site. 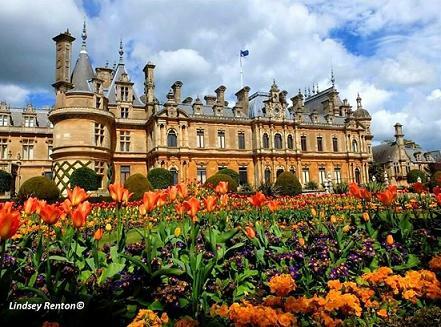 There are seasonal displays, colourful shrubs and mature trees at Waddesdon Manor. Carpet bedding displays on the Parterre are created each year. 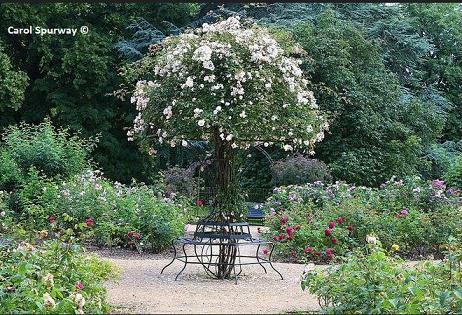 A special Rose Garden was created in 2000 and is planted with 600 roses supplied by David Austin Roses. There are many outstanding varieties with lovely scents. See the outstanding collection of sculpture and 2 ornamental fountains. Take the kids to the wildlife area and also visit the restored water gardens. Don't miss the splendid collection of exotic birds in the rococo-style aviary of filigree cast iron. The House is a must see and dates from the 1877 with the design by French architect Gabriel-Hippolyte Destailleur. The rooms are elegant and finely furnished and were used to entertain guests from far and wide. You will also see the historic wine cellars and regular wine tasting events take place. The property is family friendly with a regular programme of events. This is a great day out. 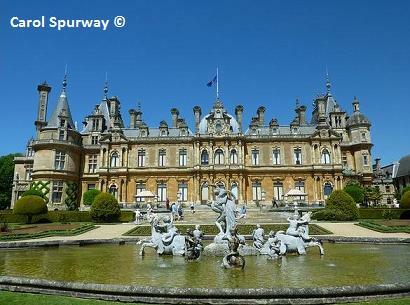 NT Gardens at Waddesdon Manor open 2019 - Open most of year. See website for full details. Restaurant, shop, disabled access. Coffee bar, Partial disabled access.